HOLLYWOOD – Two years ago, Jason Taylor shook up the table-tennis community by adding Mike Pouncey to his annual Ping-Pong Smash lineup. 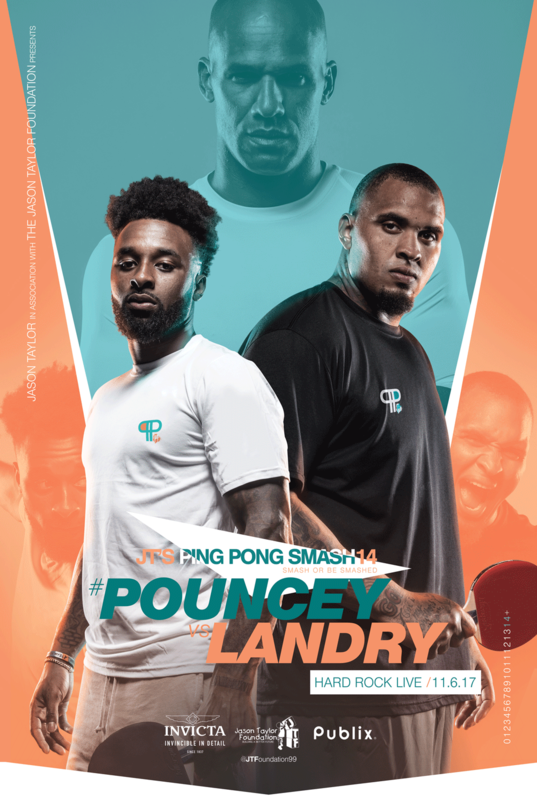 On Monday, November 6, the Hall of Fame defensive end will present Pouncey with his most formidable challenge yet, pitting the gridiron great against another dynamic star, Jarvis “Juice” Landry during JT’s Ping-Pong Smash 14 – Presented by Publix (#POUNCEYvsLANDRY). 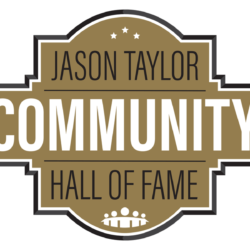 Proceeds from the event, which will take place at Hard Rock Live in Hollywood, will benefit the Jason Taylor Foundation, whose mission is to support and create programs that facilitate the personal growth and empowerment of South Florida’s children in need by focusing on improved health care, education and quality of life. This year’s Smash will also support the Team Pouncey Foundation and Jarvis Landry Foundation. In addition to the Pouncey and Landry match-up, this one-of-a-kind event will again pair generous community members with some of the Sunshine State’s most recognizable personalities from the worlds of sports and entertainment. The duos will compete in a round-robin style ping-pong tournament while raising money for local children’s charities. The fun-filled, electric atmosphere will also feature Power Parties DJs & Lighting filling the arena with today’s hottest music, in addition to the Best Buy Fun Zone, where those in attendance can enjoy a Best Buy gaming station, hair cuts, interactive games and more! Prior to the action that evening, the Jason Taylor Foundation will hold the tenth-annual Ping-Pong Smash Kids Clinic – Supported by UPS. 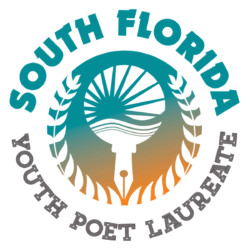 Nearly 100 deserving children will have the opportunity to learn the fundamentals of the world’s fastest sport from former Puerto Rican Junior National Table Tennis Champion and three-time JT’s Ping-Pong Smash Champion, Juan Ly. The Kids Clinic will take place from 3:00 – 5:00 PM, also at Hard Rock Live. In addition to Publix and UPS, other supporters include Invicta Watch Company, as well as Best Buy of Davie, Fanatics, Global Wealth Management, Grounds Group, Inko Dada, Joe Rose, Kids 2 Camp, Killerspin, The Law Offices of Lawrence Zieper, Milam’s Markets, Northwestern Mutual sponsored by Rich Goodman, PopGraphicsUSA.com, Popular Bank, Seminole Hard Rock Hotel, Seminole Tribe of Florida, StevenDouglas, Thunderous Genius Creative House, Wizard Creations and UB Chillin’. Doors open for JT’s Ping-Pong Smash 14 – Presented by Publix at 5:30 p.m. on Monday, November 6. 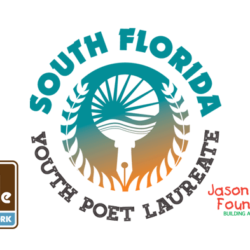 Admission to the event is a $5.00 donation to the Jason Taylor Foundation. For more information, please call (954) 424-0799, visit www.jasontaylorfoundation.org, or follow us on Twitter or Instagram: @JTFoundation99 (#POUNCEYvsLANDRY).